People having been playing Go for 4000 years. And people have been eating cheese for 4000 years. 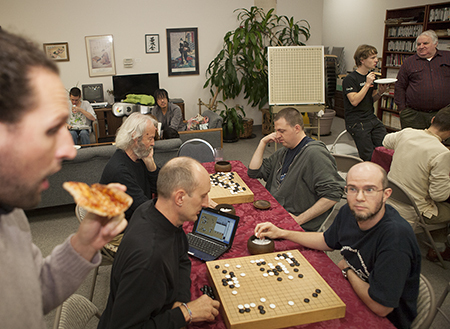 But they were usually not the same people, until the Seattle Go Center invented Tuesday Pizza Night, where we play Go and eat cheese pizza in the same room (but at different tables). We usually have fresh baked bread to share as well. February 25, 2014 news flash: ancient cheese discovered in China. No mention of any Go (weiqi) boards in the vicinity.